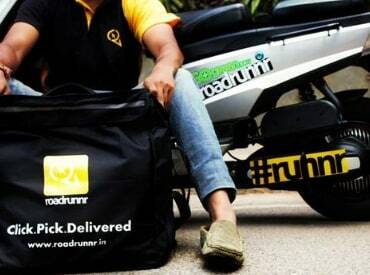 Roadrunnr, a hyperlocal and last-mile delivery firm that supplies food from restaurants and goods of e-commerce firms, became the latest start-up to face attacks from employees and people who have lost business due to its model. On Saturday night, a group of 65 people vandalised the offices of Roadrunnr in Bengaluru. The firm claimed it was done by agencies that were losing people to the venture-funded company. A police official, who conducted investigation at the office on Sunday, said the attackers included delivery employees, who were unhappy with the change in compensation structure that reduced their income by half. Security has been deployed on the office premises. "Being on our rolls is more lucrative for drivers, so they want to move from their agencies to us. Due to this, agencies are facing attrition and we approached them to work out an absorption plan, but they say they don't want us to hire drivers who work for them at all," said Mohit Kumar, co-founder and chief executive of Roadrunnr. Kumar did not name the agencies but pointed they had identified ransackers from the image of close-circuit television cameras, installed on the premises. "We are not taking a defensive stance here, we will be very aggressive in terms of finding out who these people were," said Kumar. Roadrunnr, backed by Sequoia Capital and Blume Ventures, has joined the growing number of start-ups in India, shifting business model of throwing money to get customers and employees, to focus on profitability. The firm has raised Rs 73 crore from investors. It shifted its model last week from paying delivery agents per hour of service to a per order basis. The company says it pays anywhere between Rs 55 and Rs 85 per delivery, while also providing incentives to agents based on the number of packets they deliver to customers. It charges a fee from restaurants such as Faaso's, PizzaStop, Grabeat and e-commerce players such as Flipkart and Snapdeal for those deliveries.